Who Makes Cents is a monthly program devoted to producing engaging stories that explain how capitalism has changed over time. 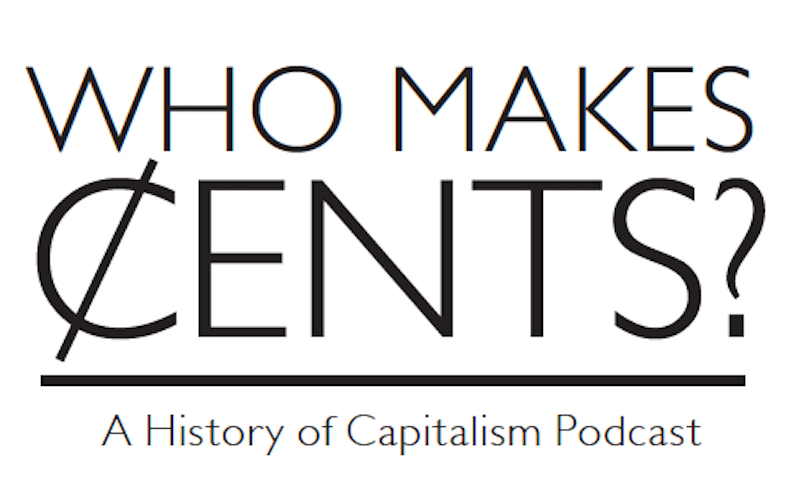 Verso is excited to announce a new partnership with Who Makes Cents: A History of Capitalism Podcast, hosted and produced by Betsy Beasley and David Stein. Who Makes Cents is a monthly program devoted to producing engaging stories that explain how capitalism has changed over time. In interviews with historians and social and cultural critics primarily, though not exclusively, focused on U.S. history, the show highlights the political and economic changes that have created the present. Each episode gives voice to the people who have shaped capitalism — by making the rules or by breaking them, by creating economic structures or by resisting them. Since launching in May 2014, Who Makes Cents has released 43 episodes and hosted conversations with a wide array of authors, including Christina Hanhardt, Kim Phillips-Fein, Deborah Cowen, Keeanga-Yamahtta Taylor, David Harvey, Sarah Jaffe, Geoff Mann, Nancy MacLean, and many others. The full archive can be accessed here. In an article originally written for The American Historian, Beasley and Stein describe the development of the show. Beginning in April, new episodes of Who Makes Cents will appear on the Verso blog.